A Birthday Tea Party to Remember! When Seher told me she wanted a morning tea party to celebrate her birthday, there was only one place I knew would do justice to the menu, Baker and Spice in Dubai! I spoke with Yael Mejia, culinary mastermind behind this wholesome Dubai concept and we collaborated on the perfect selection of food that was appropriate for the occasion. There was plenty of food and enough variety to appeal to all palettes, including eggs, muesli, cured tuna, and fresh fruits. We kept the beverages simple and served cappuccinos and espressos compliments of the Nespresso machine as well as iced citrus tea in mason jars with the colorful striped straws. Pictured below was a special request by the birthday girl, a seasonally inspired corn scone with pulled chicken and cranberry chutney. The scone was crumbly and soft on the inside, but had a perfectly crunchy exterior that provided that necessary element to balance out this yummy original dish. This was the most popular item on the table and rightly so, as it was aesthetically adorable looking and scrumptious. Taking all things seasonal and fresh and capturing the true essence of a morning treat was this roasted vegetable and poached egg dish topped with a spicy aioli. The vegetables were beautifully roasted and seasoned. The perfectly poached farm fresh eggs had a yummy runny yolk, which melded harmoniously with the spicy aioli, then coated the vegetables and hit the spot. We served this dish with home-made bagel chips to give it that crunch factor which balances out the rest of the soft textures. This item consists of a couple of new techniques being implemented by the Baker and Spice team. A house cured tuna, thinly shaved and delicately placed on a caper and dill infused home-made cream cheese, nestled on top of griddle toasted english muffins made from scratch. My mouth is watering just writing about it. A unique taste and a unique twist on the original bagel with lox and cream cheese. Pictured below is a hearty and elegant salad with the freshest pears I have ever tasted, sitting on a bed of mixed greens and covered with heaps of creamy goat's cheese, toasted walnuts, all tossed in a lemon Parmesan dressing. The freshness and seasonality of a salad such as this makes it almost feel like a dessert! Now these little beauties were a special request by yours truly! I am a pumpkin fanatic to say the least. I am not afraid to admit that I am obsessed with the spiced rich developed flavors of this sweet treat which I have grown to LOVE over the past couple of years. When Yael informed me they had a new pumpkin cupcake on the menu at Baker and Spice, how could I resist. Not only did these cupcakes have a moist and delicate consistency, but they were filled with sweet and creamy center and topped with a spiced frosting that literally melted in your mouth. Needless to say, there weren't too many leftovers of these little guys. Perhaps it's a good thing they are only I seasonal item. If they were around year round, I would probably turn into a pumpkin as a result of frequent indulgence. It wouldn't be a birthday party with out a cake, and if I know my friend Seher, she is the cake queen! Notorious for ordering the best cakes in town from New York to Dubai, I had to make this one extra special. Yael and I discussed a couple of different options, and she suggested this chocolate decadence cake which was layered with chocolate and coffee ganache and a meringue center. The birthday girl was impressed as were the rest of the ladies, the presentation alone was whimsical enough for anyone to fall in love.....with chocolate! The very happy birthday girl and myself hosted a lovely morning for the ladies of Dubai. Seher and I love to throw a good party and between the two of us, we have really raised the bar on the food component for gatherings the city. If anyone ever attends an event at Seher's or mine, whether it's a birthday, BBQ, or Thanksgiving, they know they will be going home with full bellies and big smiles, because that's the motto we stick by! Good food, and plenty of it plus the pleasure of great company including friends and loved ones is the winning combination for an outstanding event. Hmmmmm, where to begin? The meal at Rhodes Twenty10 was highly anticipated. After meeting with the man, Gary Rhodes several times, and learning about his food philosophy as well as his innovative approach to modern British fair, I had high expectation of this restaurant. 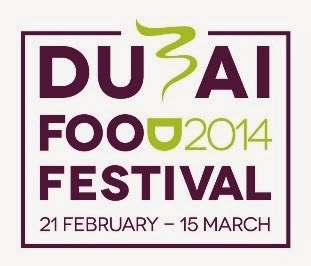 After meeting the head chef Lee Frederick at the International Fine Food Festival in Dubai, the deal was sealed! I made my way down to Le Meridien hotel in Dubai's Marina area and entered another world as I set foot into this funky space. We enjoyed the ambiance for a bit before sitting down for our meal. The menu was eclectic, but it all seemed to make sense. Elegant comfort foods from all over the world, presented in one modern and chic menu. We ordered a couple of starters and the first to arrive at the table were these Crispy Duck Pastillas. A pastilla is a traditional Berber Moroccan dish, along the lines of an elaborate meat pie. The true Moroccan way is with a pigeon stuffing, however chicken is a common substitute. Chef Lee did justice to the Gary Rhodes version with tender and seasoned succulent duck with a mix of sweet and savory spices. These were the perfect combination of flavors and textures and a warm welcome to our meal at Rhodes Twenty10. Next up were these Napoleon like stacks of some of my most favorite ingredients in the world, from Avocado, to Crab, and even Sesame Phyllo, how could you go wrong! The texture of the avocado was light and airy and the taste had a salty citrus hint to it. The crab underneath was sweet and creamy, and when you took that perfect bite along with the buttery phyllo wafer, its was a wonderful balance of flavors and textures. Chef Lee really spoiled us and sent out the Rhodes Twenty10 signature starter, a chicken and prawn satay with a spicy peanut sauce. The chicken and shrimp were cooked and seasoned perfectly and even along with the peanut sauce, it was a treat to enjoy something so Asian in such a unique setting. The star of the show however was this burger.Not just any burger, the Rhodes Twenty10 Burger. Made with hand cut fillet, on a roasted confit potato with a perfect seared foie gras on top, this goes down as one of the most delicious burgers I've ever tasted. It could be considered sacrilege to serve a burger without a bun, but once you bite into this juicy piece of meat with the rich foie gras juices infusing into it, you forget all about those silly little carbs, and tuck into something much more magnificent. Now after being served such hearty portions of food, it was difficult to even think about dessert, but Chef Lee was not going to let us leave without a taste of all of the signature sweets on offer at the restaurant. He served us this tasting platter consisting of Sticky Toffee Pudding, Strawberry Shortcake, and Banoffee Cheesecake. It's giving me a sugar rush just thinking about it. They were all flavorful and delicious, however, I am partial to sticky toffee puddings, but the banoffee cheesecake and strawberry shortcake were a close second. The presentation was sublime and I have to say Chef Lee really did out do himself. My expectations were very high going into this dinner, and they delivered some seriously good grub. I look forward to my next visit, and will have to workout intensely for a week prior so I don't feel guilty about indulging in the elegant comfort food prepared with passion by the talented Rhodes Twenty10 team. My family has a reputation for not only being food aficionados, but also for preparing some of the tastiest meals in town. With highly developed palettes and a passion for the culinary arts, cooking isn't just a past time, it's a right of passage. My recent trip back home proved that again, when my sister stepped up to the plate. She had never really expressed any interest in anything food related other than eating it, however over the past couple of years, with a big sister like me who is making a career out of food, she finally gave in. Sara decided it was time to embrace her natural talents and prepared a feast for the family. On the menu were crab cakes with a spicy aioli, an herb crusted rack of lamb with a mint pesto, and Parmesan peas with caramelized onions. Impressive menu, and even more so the confidence to pull it off with out any prior culinary training. My adorable niece presenting her mom's dish. We are starting them off young these days, with routine lessons on food, flavoring, textures, and ingredients. Leila seems to be picking things up pretty quickly. She's already got the developed palatte and is willing to try anything new. Not too many 6 year olds I know that are as adveturous as she is when it comes to food tasting. Slicing up the rack of lamb cooked to a medium perfection, it seemd to come with such ease. She's really getting into it, and blew us all away with her time management skills as well as her attention to detail. I am proud that Sara, along with every other member of my family is as enthusiastic as I am about the culinary arts. We share this passion and skill as a family and enjoy any festive occassion revolving around food. Plating up and the final dish. This was deifnitly a feast we all whole heartedly enjoyed, and will be remembered forever. Thanks Sara for your hard work and effort in preparing such a fantastic meal. Those rich and hearty flavors along side excellent quality of ingredients can be compared to any restaurant meal. I'm looking forward to my next visit home, and for another gastronomical experience shared by my family and loved ones. Chef Akhtar of the Islamabad Marriot's Dum Pukht Restaurant has been trained in the art of Mughlai style of cooking. This particular cuisine focuses on flavor development using nuts, creams, cheeses, fruits, and spices. Staying true to its origins in preparation, execution and presentation, he doesn't stray much from the authenticity of these dishes. Chef Akhtar kept me busy for two days, showing me the Ins and Outs of his meticulously organized kitchen. We explored everything from grilled seafood to biryani, and with no culinary stone unturned, chef Akhtar kept me intrigued by his unique and in depth approach to flavor development without an overwhelming use of spice common in other south asian cuisine. Featured below is a popular item known as Kagzi Kebab, a chicken drumstick stuffed with seasoned chicken mince marinated in a saffron cream sauce. The stuffed chicken drumsticks are then grilled over an open flame for maximum flavor incorporating the smoky aroma of the charred wood complimenting the marinade and natural chicken flavors. Next on the list was Lababi Kabab, a Mughlai signature style kebab. The base for this kebab is a mutton mince combined with cottage cheese and other aromatic spices. Once all the ingredients are combined, the tricky part is actually skewering the meet, which requires a certain level of skill and technique. It can be time consuming, because it is always done by hand, and it must be equally dispersed from top to bottom for the most even cooking. Chef Akhtar is so seasoned, he could probably do it blind folded, and even informed me, that during banquet and wedding season, they make thousands of these a day!!! Delicately frying away, we have the Hara Fried Fish. Hara which translates to green, refers to the color of the marinade the fish is coated in. It consists of green chilli, mint, coriander, and green capsicum, plus all the other spices and seasoning. The other secret ingredient chef Akhtar tipped me off on was Ajwain, also known as carom seed or caraway, commonly found in seafood dishes. Here we have one of my favorites I learned on this cooking lesson, a dish fit for kings called Raseley Jheengey. This particular dish is unique because of the sauce it's served in. A white sauce made with sesame, white onion, and cashews which are slow cooked for an hour then pureed with a touch of milk into a creamy delicious base. The Shrimp are quickly poached in a lime and ginger and then added to the sauce which is sauteed with ajwain, ginger and garlic, chili flakes and finished off with lemon. A flavorful and rich dish suitable for special occasions! This next dish is my second favorite, I remember enjoying this starter at the restaurant when I last dined there, and the combination of toasted sesame with cream and saffron crusted on the shrimp was just heavenly! I could've made a meal out of it, but decided I needed to give everything else a fighting chance. Chef Akhtar has really outdone himself on this particular plate from the technique used to the chutney flower on the presentation plate, this dish is a winner all around. An interesting approach to a traditional South Indian dish, was chef Akhtar's version of a Dosa. Unlike the south Indian type, this was made in a smaller crepe like size. The crepe shell it self is made with a paste of white lentils, coconut milk powder, matray powder (dried yellow peas), rice flour, corn flour and egg, cooked on a griddle pan, then rolled with sauteed spicy vegetables, rolled again and pan fried. This preparation is labor intensive, but the tasty bites are worth the effort and wait. Last but not least, the infamous biryani, which every ethnic contingent in the region claims as their own. Chef Aktar prepared the Sindhi style of Biryani, which is a balance of sweet and savory using dried plums, cashew nuts, saffron, and chillies. The biryani he prepared today used a special type of rice known as *Sella, which adds a beautiful color and aroma to the dish. This had to be one of the tastiest and most aromatic biryanis I have ever enjoyed. Thanks to Chef Akhtar who stayed true to the dish, and showed me the real way to make such an authentic delicacy. The Dum Pukht restaurant is a landmark at the Marriott and Pearl Continental hotels in Pakistan. It produces a variety of tasty dishes with a range of flavors, ingredients and textures. The chefs are not only trained, but have competed against India in the Food-istan challenge, making their country proud. If you ever take a trip to Pakistan, no matter which city you visit, you will have access to this unique cuisine. Come and check it out. When someone recommended this restaurant to me, I immediately perked up! I had enjoyed some delicious South Korean food, but never any delicacies from the North. It was a journey trying to locate this hidden gem, but once we found our way, it went from good to great very quickly. Hidden in the side streets of Deira close to Deira City Center, we were guided to Okryu-Gwan by the enthusiastic staff anxiously awaiting our arrival. As we approached, the ethnically clad waitstaff lined the front of the restaurant smiling and welcoming us to their humble and quirky eatery. Upon entering the room, we couldn;t help but notice the sounds of the Kareoke machine echoing throughout the rest of the quiet restaurant. We were informed by the delightful staff, there were private rooms if we were interested in partaking with the joyful act of Kareoke. Since food was on the top of our agenda, we politley declined.....for now! A couple of things to take note of when eating in this restaurant is the decor and eclectic table ware. Surrounded by random vases of fake flowers, plus murals and paitings of cascading waterfalls and horses galloping away into the sunset, we couldn't help but notice a small stage set-up towards the back of the room. My friends and I inquired about the dated musical equipment (i.e. keyboard/synthseizer and drum set. It felt as if we were in a time warp from the 80's). The staff informed us they have live music on Thursday evening, sadly, we were there on a sunday. Moving on, we realized we were so in awe of the aesthetics of this restaurant, we hadn't even looked at the menu. First things first, an order of Kimchi was a must. It arrived in this "Italian" themed plate, giving this funny little restauarnt even more character! The next item, isn't somethign I would normally order, but it did seem to appeal to my lot of friends, who enoyed the sweet and tanginess of the prawns in ketchup sauce. Presentation was decent, and the dish wasn't bad, but I am adamantly against anything made with or consisting of ketchup, it's one of thos artificial tastes that lingers on my palatte, but in all the wrong ways. Below we have a picture of something that resembles Japanese maki rolls, however the Korean version is known as Kimbap. Filled with shredded beef and pickled vegetables, the balance of flavors and textures worked for me, and it was the perfect little size! I am a sucker for anything in dumpling form. It usually packs a lot of flavor into a small well proportioned package. These Yaki Mandu* were fried egg dumplings, and between the seasoning and spicy dipping sauce, I think I single handedly cleared that plate. This was by far the prettiest dish served, it's called Mul-naengmyeon, a chilled buckwheat noodle soup. Lastly we were served some Korean style ice cream. It was creamier than I am used to covered with chopped strawberries and a fruity syrup, It was a nice little taste of sweetness, but I couldn't have more than 2 bites. Overall the experience at Okryu-Gwan was a unique one. Between the flavorful food, friendly staff, optional Kareoke, and 80's like decor, I think it's safe to say I will return to this hidden gem. I was fortunate enough to bring an adventurous lot of friends, and it really made all the difference. If you do manage to make your way down, bring a group of foodies with a sense of humour, you will leave the restaurant with full bellies and tears in your eyes from all the food and laughter this place can bring.